Black Panther came out and set Black History Month on FIRE. It's literally dominating the box office, setting new records left and right. And with all its success, Disney has decided to celebrate the incredible film in a MAJOR way. The company imitates the ending of the film by donating $1 million to create STEM (Science, Technology, Engineering and Math) programs for the Boys & Girls Clubs of America. Woot! It's the perfect gift as it correlates with the technology theme in the film and how it empowered a group of people. Without giving TOO much of the movie away, Wakanda was the most technologically advanced country ran by a fictional metal called vibranium. Black Panther's sister Shuri, a 16-year-old female, was the one who invented and controlled much of the technology her brother used to fight evil. How cool is that? Now, young students enrolled in STEM programs will be able to do the same. “It’s fitting that we show our appreciation by helping advance STEM programs for youth, especially in underserved areas of the country, to give them the knowledge and tools to build the future they want,” Robert A. Iger, chief executive of the Walt Disney Company, said in a statement. The money will create 12 new STEM centers in several cities across the country, including Atlanta, Baltimore, Chicago, Los Angeles, Memphis, Washington and Oakland, Calif. -- where Black Panther director Ryan Coogler was born and where some of the film takes place. "The organization’s STEM curriculum gives young people the chance at an early age to have hands-on experiences, like building bridges and light bulbs and creating rock candy," Chrissy Booth, senior director of youth development programs for the Boys & Girls Club. So yeah, Wakanda is much more than a fictional place for us. Loves it! Weekend #3 is already looking promising for the black superhero film. 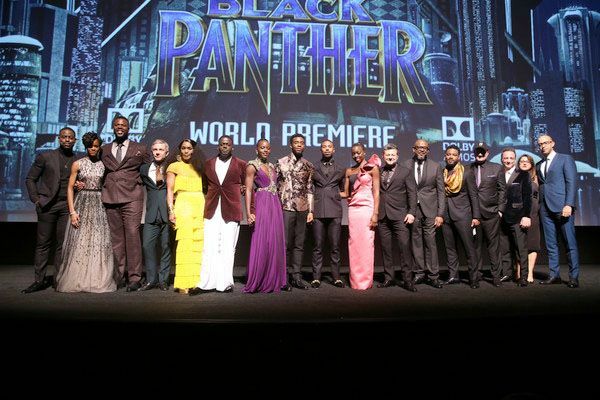 Analysts are predicting Black Panther will sit at the No. 1 spot for the third weekend in a row, raking in an estimated $60 million Friday through Saturday. This news comes after already slashing records during its 1st and 2nd weekend in theaters. 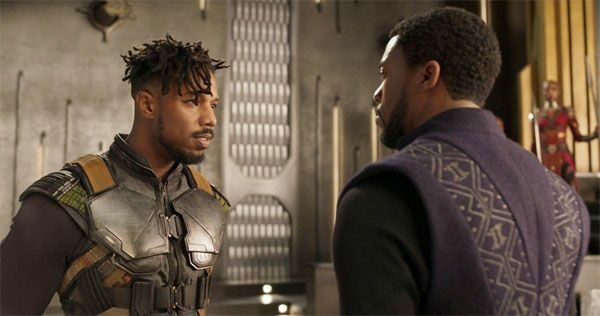 Black Panther collected an estimated $112 million during the 2nd weekend, becoming the fourth film ever to cross $100 million in its 2nd weekend. It's the 2nd highest 2nd weekend for a film behind Force Awakens. During its debut weekend, Panther brought in about $218 million over the four-day President's Day holiday weekend. The film has exceeded $400 million in the United States and has brought in $704 million worldwide. By the way, China (the 2nd biggest market) hasn't even released the film yet. Sounds like Wakanda will be saying "Hey Auntie" to that billion dollar mark soon. Congrats to the cast, crew and the Marvel Universe! PREVIOUS: Cardi B Took Fiancé Offset Back After Cheating Because She’s ‘No Angel’- SEE HER FIRST COSMO MAG COVER! NEXT: Comedians Linked Up Courtside At Knicks Game, No Invite For Mo’Nique?